I thought this movie would be a love story, but it turned out to be more of a family story, with the love interest angle thrown in. Still, Robert Pattinson does a great job acting here—more so than in the "Twilight" movies, in my opinion—and the acting and storyline are decent overall. Tyler (Robert Pattinson) is drifting through life. He shares an apartment with his roommate, audits classes at NYU, and works part-time at the Strand bookstore. One night, he tries to break up a fight, but instead ends up getting punched by one of the cops at the scene (Chris Cooper, "The Kingdom"). His roommate then finds out that the cop has a daughter, Ally (Emilie de Ravin, TV's "Lost"), who also goes to NYU, and decides that Tyler should woo and then dump her. It starts out as a game of revenge, but when Tyler ends up falling in love with Ally, it becomes much more. Meanwhile, Tyler's family is split up—his mom (Lena Olin, TV's "Alias") and dad (Pierce Brosnan, "Married Life") are divorced—while his 11-year-old sister Caroline (newcomer Ruby Jerins) is having trouble with the mean girls at school. In addition, his older brother, Michael, committed suicide six years ago, and Tyler was the one who found him. Needless to say, Tyler has issues, but he may have met his match in Ally, whose mother was murdered ten years ago, and whom is similar in a lot of ways to Tyler. The acting in the movie was great, as was the cast. The film has a twist ending that I knew about before seeing—click here to read spoilers. After seeing the film, I wondered if I would have reacted differently had I not known about the ending. It is still a devastating ending, readers be warned, but I think that since I knew about it beforehand, it made less of an impact on me. I would like to give this movie a yes vote, but it was a little slow at times, and I still feel misled that the movie wasn't really a love story. Therefore, Maybe see this movie. Pattinson's acting is at his best here, and his little sister is adorable—one wonders why she has trouble with the mean girls at school, though she admits to Pattinson's character that she "spaces out a lot" and then they laugh at her. Brosnan has a few good scenes, including some with Pattinson where they get into a yelling match, and de Ravin is great as Ally. Cooper is also decent as Ally's dad. Thinking about the movie afterwards, however, I realized that it did jump around a lot (yet, like I said, parts of it were slow), and it is because of that and other factors that I cannot give this movie a "Yes" rating. 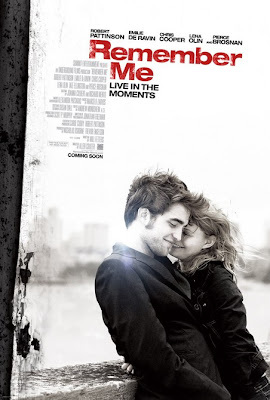 Fans of Pattinson, however, will most likely enjoy this film.